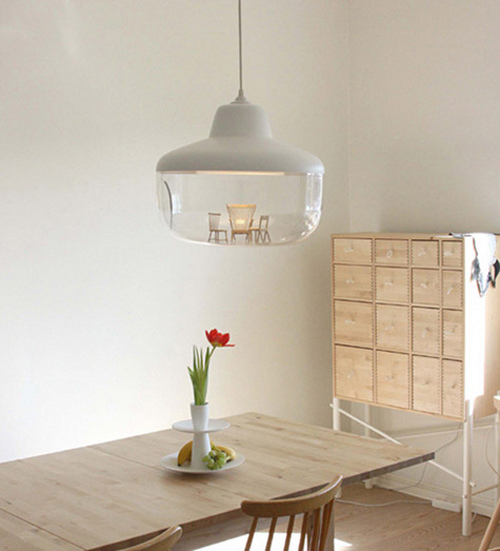 Have a look at this pendant lamp by Chen Karlsson. 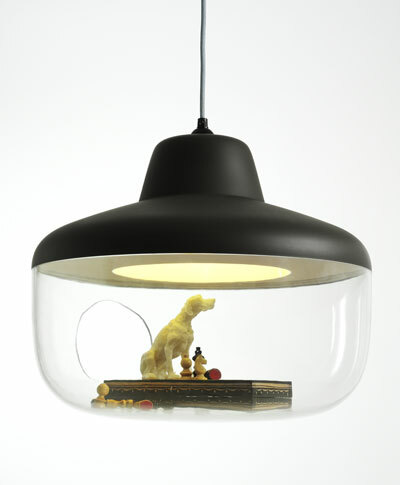 The lamp comes empty and you can fill it with your favorite things - objects, or a scene you create. Cool and beautiful idea.